The aim is to meet increasing demand for severe erosive applications in the oil and gas industry such slurry handling, in traditional pulp & paper processes, and in mining and minerals processing. The portfolio of Neles® ceramic E-series control valves, recognized for being extremely erosion resistant, has now been expanded to NPS 08" (DN 200) in pressure Class 300 (PN40). The E-series valve is the most erosion resistant control valve available. It works as an ideal solution in many energy and hydrocarbon processes, as well as in mining and minerals processing processes, where metallic materials and coatings fail due to high erosion. Catalyst handling can be a challenging application. 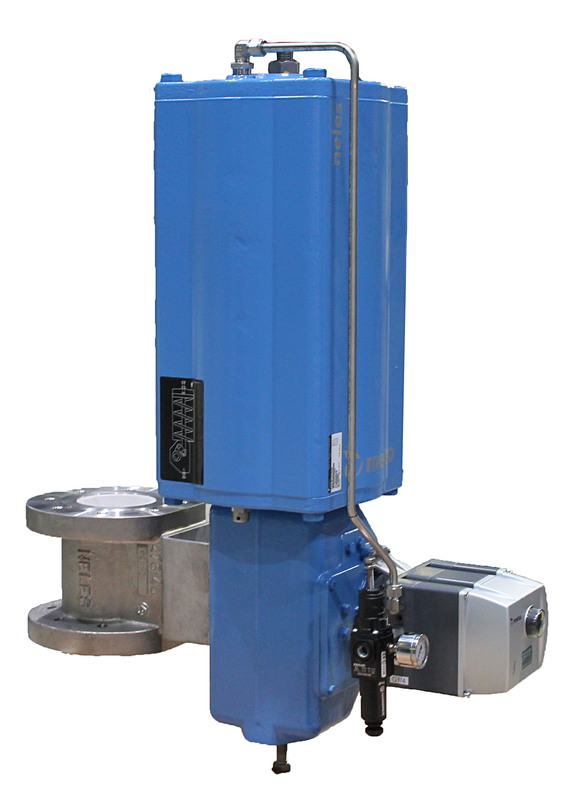 With the E-series control valve, plant runtime can be extended and life-cycle costs minimized. Pulp mills with capacities of up to 1.5 million tons have been able to utilize this new valve size as part of their latest process investments to meet the demand for severe control applications and to reach larger dimensions. The Neles ceramic control valve series E2/E6 uses a field-proven design with solid ceramic trim components to cover the whole wetted flow passage. Metso has a strong position in control valves for petrochemical, chemical, oil & gas, and power customers through its well-known Neles rotary control valve, globe valve, and intelligent valve controller offering. Metso has a long track record of delivering engineered performance and reliability to the oil & gas, pulp & paper and power customers through its leading product brands - Neles®, Jamesbury® and Mapag® - and has delivered millions of valves, control valves, and on-off valves globally over the last 90 years. Additionally, Metso has become one of the leading suppliers of intelligent valve controllers. Metso's valve technology and services offering helps maximize production efficiency and reduce safety risks throughout the life cycle of a plant, all the way from simplifying valve selection to improving process availability and maximizing production performance. Metso is a leading process performance provider, with customers in the mining, Metso is a leading process performance provider, with customers in the mining, construction, and oil & gas industries. Metso is also known for its advanced automation solutions for pulp, paper and power generation. Our focus is on the continuous development of intelligent solutions that improve sustainability and profitability. Metso's shares are listed on the NASDAQ OMX Helsinki Ltd. Metso employs 18,000 professionals in 50 countries. Expect results.